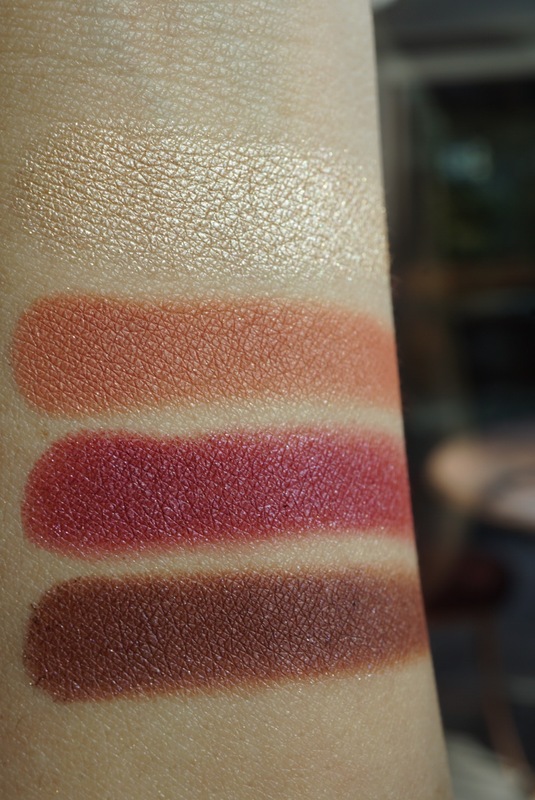 Ok long overdue is my swatches of the Zingara Quad. This came out already and it’s available individually as well as in the quad form. 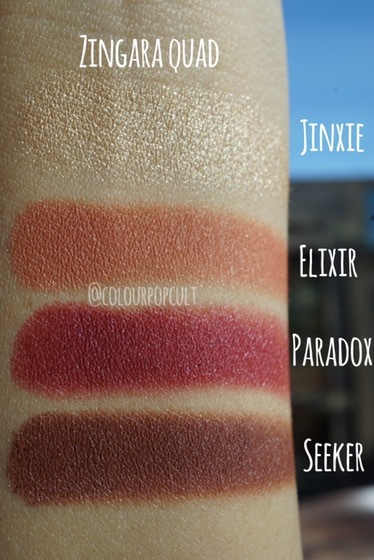 My favorite in this quad is PARADOX with ELIXIR a close second. 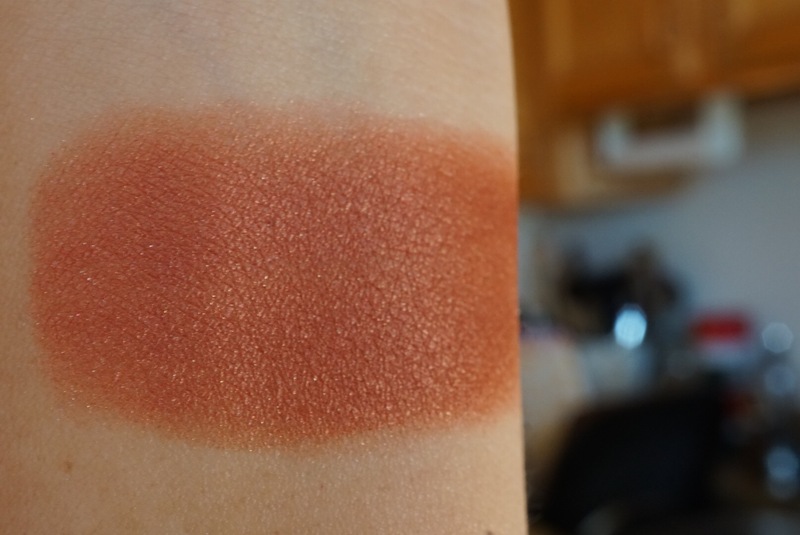 Bardot is a pearlized blush that is super pigmented and warm toned. It should pretty much be called AUTUMN or something cause it’s fall in a pot. Aight folks. 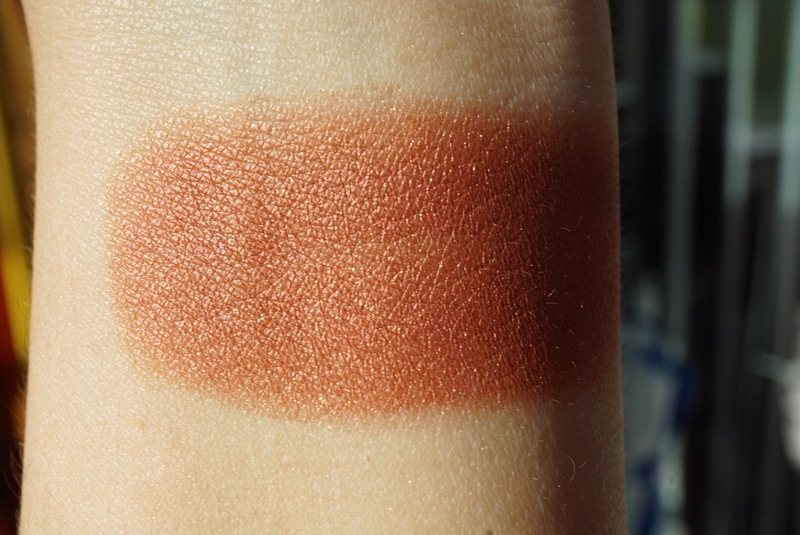 This conclude the fall edits swatches!!!!! Phewwwww!! 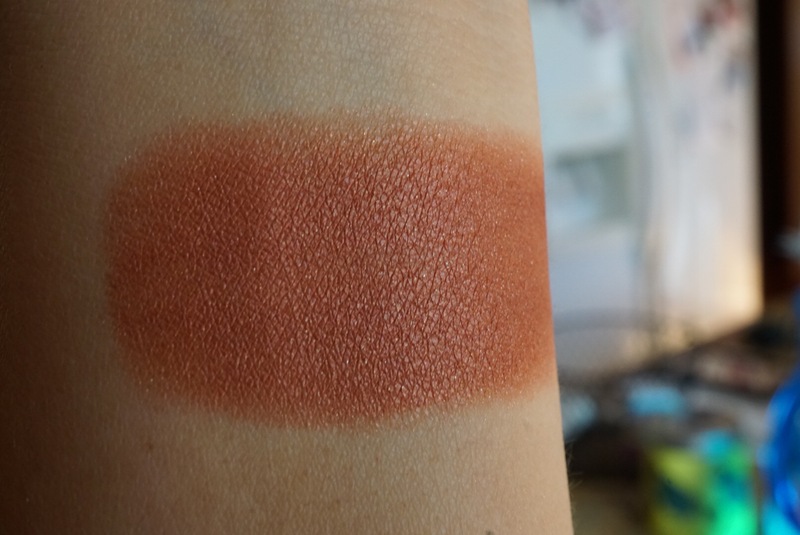 As I continue to swatch and compare stuff stay tuned for other ColourPop swatch parties! Absolutely loving all of these shades! 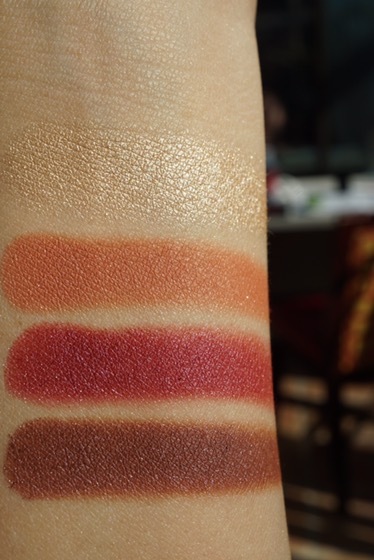 Especially that blush. Definitely a must-have for autumn!